Our QLTH50 light tower has a hydraulic mast and metal halide lighting technology, making it suitable for a wide variety of applications. This unit is compact in size, making it easy to transport to the job site and to maneuver into position to fit your needs. 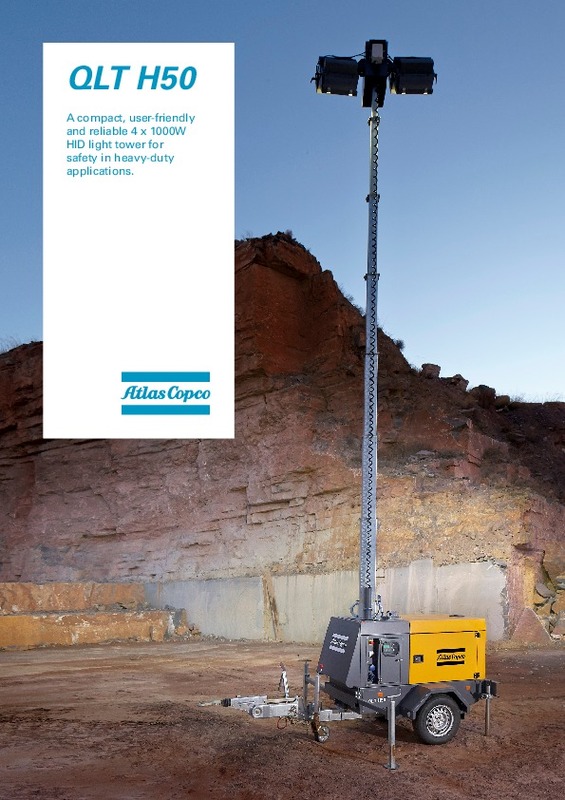 All Atlas Copco lighting comes with a 12 month warranty. Do you need spare parts or accessories for QLT H50 hydraulic mast metal-halide light tower?